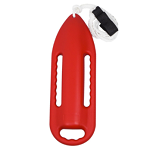 This lightweight and durable Water Rescue Can is perfect for lifeguard patrol, performing open water, multi-victim, and scuba rescues. 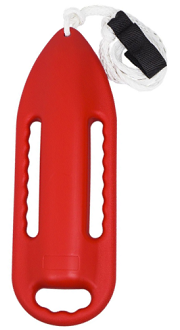 Excellent buoyancy and multiple handles that can be griped easily from any angle. 7' cord. 56" adjustable strap. Dimensions: 27" x 9" x 5.5"